Aside from the front cover and the copyright page, the back cover is one of the most looked at items when determining whether someone wants to purchase your book or not. It supplies the potential customer with valuable information ranging from the summary down to whether the book is appropriate for their child or not. Also, it is your final selling point and/or closing argument for why they should purchase your book instead of putting it back on the shelf. Every self-publisher must make sure that their back cover is professional and provides the customer with the information they need in order to make an informed purchasing decision. 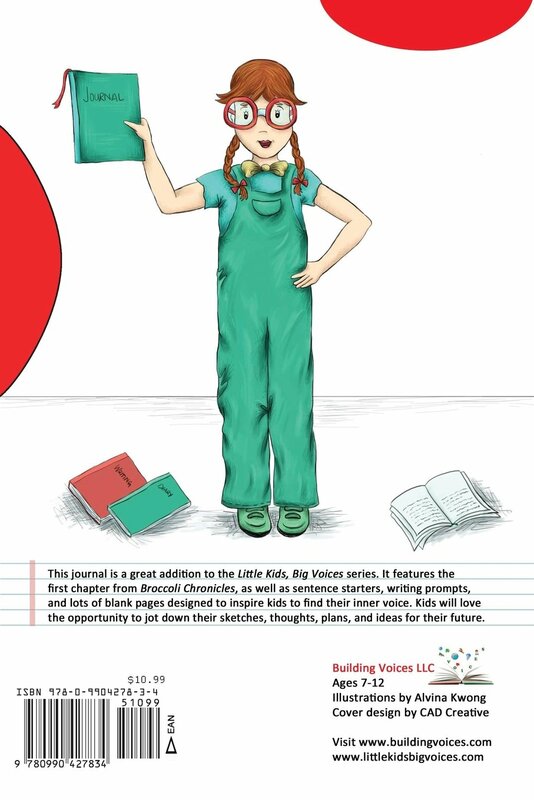 Take a look at the back cover for Little Kids, Big Voices Interactive Journal.